Phishing attacks are attempted year-round, but at the beginning of each new school year the university sees an uptick in attempts. UF’s IT Alerts website is full of recent phishing attempts. Many of them offer “great paying part-time jobs” or include fake notifications saying that your UF account information must be updated “right away” in order to maintain network or email access. As VP and CIO Elias Eldayrie noted in his Aug. 17 Phishing Awareness email to all students (a separate but similar email went to all faculty and staff) phishing is when a cyber-criminal attempts to steal personal information through social engineering. Often, the email is made to look like it is from a familiar organization like the UF Computing Help Desk, but contains a link to a website set up to steal log-in credentials and personal information. GatorLink password credentials have been stolen, and faculty and students have provided personal information (including their address and bank account number), via phishing emails. Phishing emails should be forwarded to abuse@ufl.edu. Anyone who thinks they have clicked on a phishing link should immediately change their GatorLink password. Assistance changing passwords is available 24/7 from the Help Desk (352-392-HELP/4357). 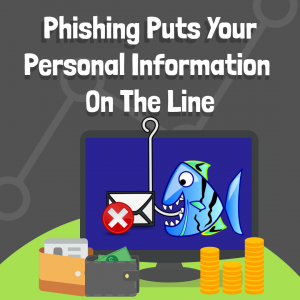 More information on phishing awareness is available at https://security.ufl.edu/welcome/. This page was Last updated August 20, 2018.